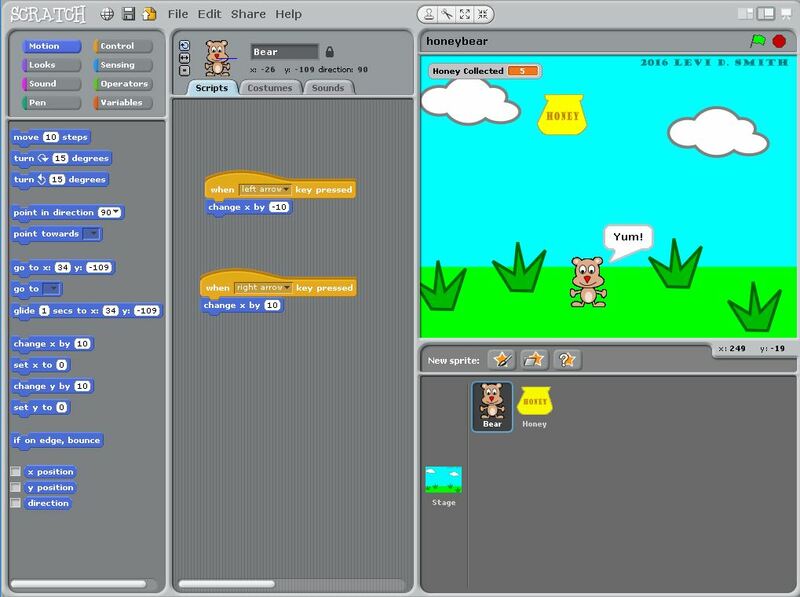 Honey Bear was a game that I developed in scratch, which runs on my Raspberri Pi arcade, using Scratch as the development environment. You can move the bear left and right using the joystick. The objective is to collect as many falling pots of honey as possible.